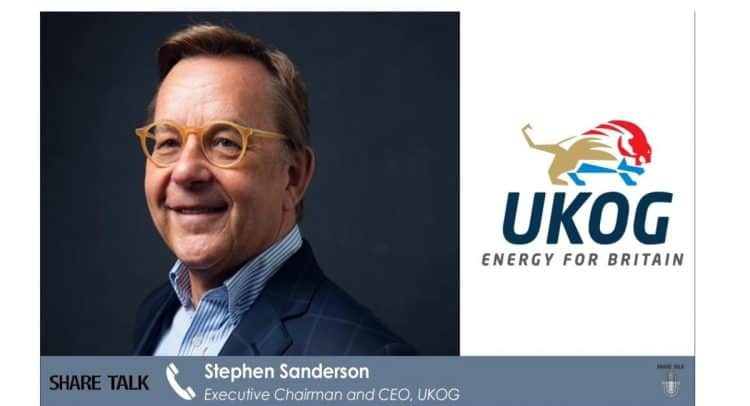 We talk to Stephen Sanderson, Chief Executive of UK Oil & Gas, about the RNS released yesterday regarding the latest flow test results at Horse Hill. We also inquire about the company plans to reach full production in the future. · KL3 EWT flow sequence commenced ahead of planned KL4 test. · KL3 flowed 40-41° API continuously and naturally to surface (i.e. without any pump) over a 50 hour initial planned oil flow period. Oil flow initiated instantaneously with minimal pressure “draw-down”. First planned 24-hour shut-in and pressure build-up test (“PBU”) now underway. · Sustained continuous oil rates of between 563 and 771 barrels of oil per day (“bopd”) on 36/64 and 38/64 inch choke, respectively, recorded over last 24 hours through test separator. Gas rates up to 186,000 cu ft per day measured through enclosed flare. Flow sustained at constant stable bottom hole pressure. · Recorded sustained rates significantly exceed the 464 bopd over a short 7.5-hour total flow period reported in 2016. · Initial well productivity index of between 1.4 to 2.5 bpd/psi is around twice that seen in 2016 KL3 test. · To date four tankers of KL3 crude have been exported to Fawley refinery. · Zero formation water produced. Metered associated water rates of 52 barrels per day (“bpd”) decreasing to 14 bpd (i.e. 9% decreasing to 2%) in the past 24 hours. Produced water consists wholly of returned heavy completion brine. Well continues to “clean-up” with decreasing water content. · Simultaneous pressure data recorded in overlying KL4 is indicative that KL3 and KL4 are one single connected oil pool with an implied minimum vertical extent of 358 ft.
· Further updates to be provided in due course following completion of the ongoing PBU test, further well clean-up, flow stabilisation, downhole oil sampling and further pressure build up tests. · The KL4, which flowed at a reported rate of 901 bopd over a 4-hour period in 2016, will be flow tested after completion of the current KL3 EWT. “I am delighted to have witnessed first-hand the resumption of significant continuous and sustained oil flow from the Kimmeridge at Horse Hill. Whilst it has been a long wait since the successful 2016 flow tests, it has been made more momentous by the Kimmeridge’s significantly increased performance and productivity.